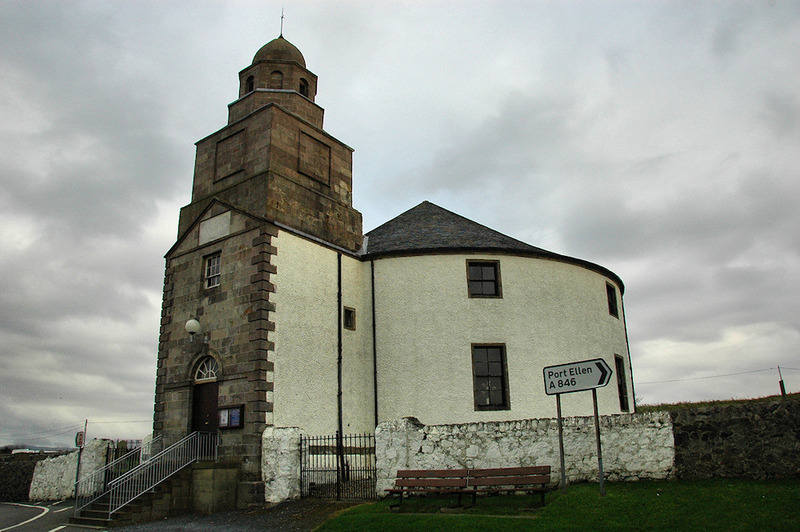 A view of the Round Church in Bowmore, round so that the devil can’t hide in a corner. This entry was posted in Cloudy Weather, Repost, Village and tagged Bowmore, Islay, Round Church by Armin Grewe. Bookmark the permalink. I’ve seen the round church in Cambridge and in London as well. Somehow they seem so reasonable to be round! Lovely old church.